Spring is here, and along with it come rising pollen counts, itchy eyes and runny noses. Just a few simple steps to remove allergens can make your home a safe haven. Start with everyday products like your vacuum cleaner and washer and dryer to remove and trap pollen, pet dander, dust mites and other particles. Move on to more specialized products that target specific allergens like mold and dust mites. Here are the tools we recommend for combating allergens. It's easy to track in allergens that settle into your carpet, to be released whenever you walk across the room. Vacuuming regularly (at least once a week) keeps dust and allergens at a minimum. A vacuum cleaner with a HEPA filter ensures no allergens are released back into the air. The Miele Complete C3's AirClean system keeps allergens sealed inside the vacuum, with a HEPA filter to capture and retain 99.9 percent of all particles. The turbo brush loosens dirt for easy cleanup, and the hard floor attachment rotates 180 degrees to easily reach into tight spots. Six speed settings you can select with a foot control provide the right amount of suction for the surface you're cleaning. And soundproofing keeps noise from the 1200-watt motor to a minimum. The dusting brush, upholstery tool and crevice tool all store conveniently within the main canister. If you have kids and pets, vacuuming can be a never-ending chore. That's where a robotic vacuum cleaner (with a HEPA filter) can come to the rescue. Despite its small size, the robotic Roomba 980 can manage the cleaning of a conventional vacuum. 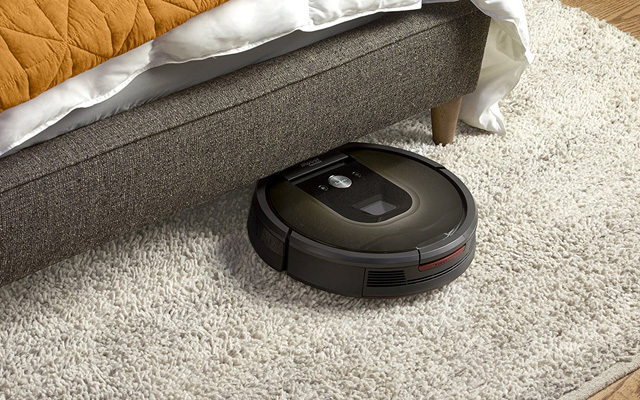 Its AeroForce cleaning system is up to ten times as powerful as previous Roombas. When you set it to clean, either by pressing a button or setting up a schedule, it navigates over carpet and hard floors and under furniture to vacuum up grime. It makes multiple passes over the dirtiest areas. When the battery gets low, the Roomba heads back to its charging station on its own, making vacuuming almost hands-free. The only work you'll have to do is empty its dust bin and replace its HEPA filter, which is a lot more convenient than vacuuming every day yourself. If you have hard floors, damp mopping does a better job of trapping and removing dust and allergens than vacuuming. Of course, mopping is another one of those chores you probably don't want to do as often as you should. Once again, let a robotic mop take over the job for you. 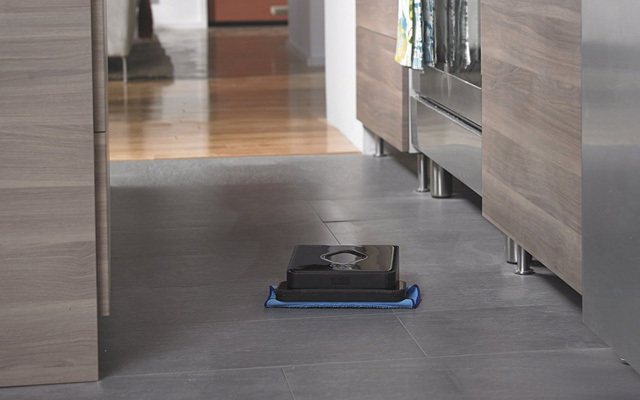 The iRobot Braava 380t sweeps and mops using either a washable microfiber cloth or a disposable cloth compatible with Swiffer pads. It makes neat, back-and-forth passes across the room (three passes when mopping) to thoroughly clean the entire floor, covering up to 1,000 square feet (sweeping) or 350 square feet (mopping). Operation is a bit less turnkey than the Roomba; you'll have to replace its cleaning cloth, fill it with water or detergent for mopping, and manually start it each time you want it to run. That's still a lot easier than doing your own mopping! The air in your home could be packed with pollen, dust mites, pet dander or other allergens. An air purifier filters the air, catching those particles before they set off your allergies. 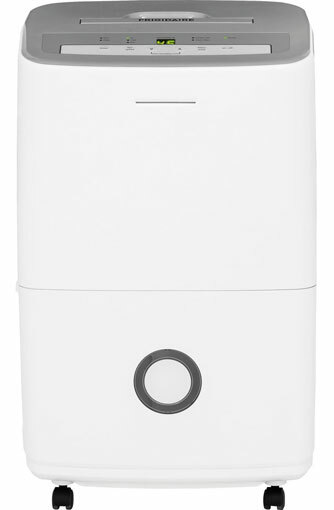 Honeywell’s True HEPA Allergen Remover captures 99.97 percent of microscopic particles, including dust, pollen, tobacco smoke, cooking smoke, fireplace smoke, pet dander, mold spores and even some germs, leaving you with clean, easy-to-breathe air. The activated carbon in the filter also kills odors. 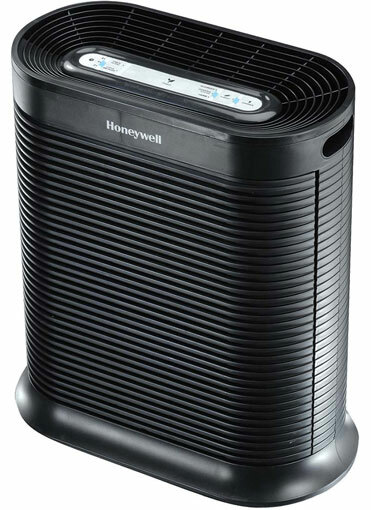 This Honeywell unit uses a quiet fan to pull air into the unit and through its filters, cycling the room's air up to five times an hour to keep it allergen-free. This model performs well in large rooms, cleaning rooms up to 465 square feet. Using this purifier is simple. A push-button panel lets you turn it on or off and set the cleaning level. Change the two filters regularly to keep it cleaning efficiently; a light on the control panel reminds you when they need replacing, so there's no guesswork. Very humid air in your house (over 50 percent humidity) can encourage the growth of mold and dust mites, both common causes of indoor allergies. A dehumidifier helps by removing water from the air and keeping humidity levels down. This Frigidaire removes up to 50 pints of water from the air before its tank needs to be emptied, so it can run all day without trouble even in large rooms. As its name suggests, operation is effortless. All you need to do is press a few buttons to select your desired humidity level, and the dehumidifier will run until the tank is almost full. Though you do have to empty the tank and clean the filter regularly, depending on how humid it is, operation is otherwise worry-free to help you enjoy lower allergen levels in your home. A regular cycle in hot water should suffice for most items, but if you're in the market for a new washer, look for a sanitize mode or a mode that meets NSF protocol P351, which means it sanitizes items and kills dust mites and other allergens. LG has a special allergy cycle that cleans with hot steam to remove 95 percent of allergens, making it the perfect way to get dust out of bedding, towels and just about everything else. 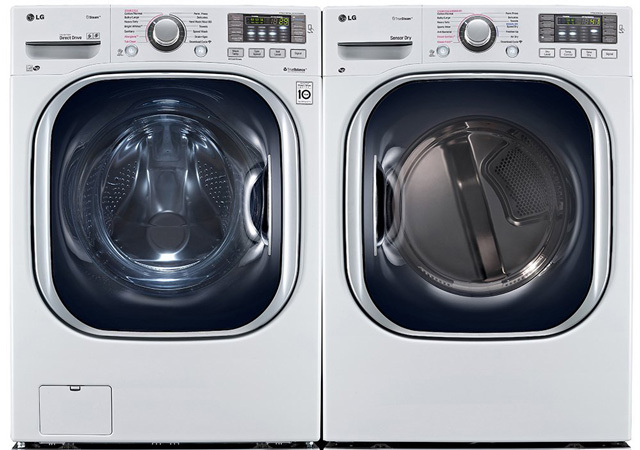 The WM4270HWA washer can handle any laundry task you have for it, with a heavy-duty, 4.5-cubic-foot capacity and a speed wash cycle for quicker cleaning so you can get the laundry done and move on with your life. 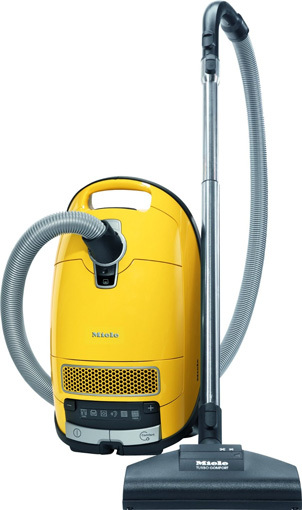 Researchers have found that steam cleaners can kill dust mites. 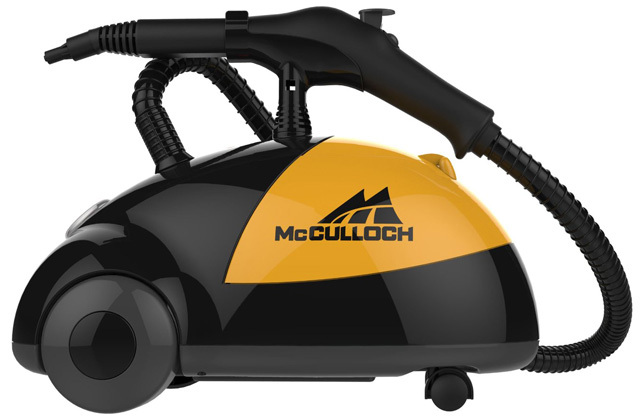 If you have a dust mite allergy and want to kill and remove the mites from things like carpeting and bedding that can't be thrown into the washer, try a steam cleaner like the McCulloch MC1275. This 48-ounce model heats up in eight minutes and will run continuously for 45 minutes. It comes with 18 accessories for cleaning hard floors, scrubbing tiles, removing wrinkles from clothing and more. Once you kill the dust mites, be sure to let the surface dry and then vacuum with a HEPA-filter vacuum cleaner for optimum results. An allergy app can tell you what today's forecast means for your allergies and help you plan accordingly. Our favorite app is WebMD Allergy (for iPhone and Android devices), which provides a personalized allergy forecast plus doctor-approved tips for dealing with your symptoms. 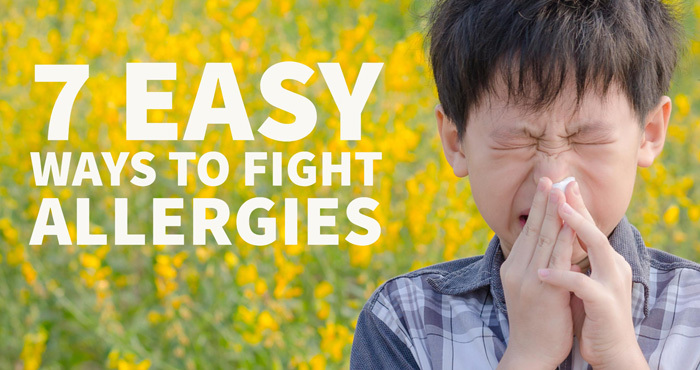 Use the app to look up general allergy information and track your symptoms day to day — a handy way to figure out what's working to help keep your allergies in check.